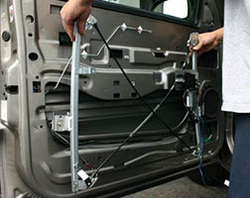 ​Windshield Repair Woodbridge NJ offers our amazing window regulator services for every one of our customers. This means that we do it for you, and we want you to be able to afford our continual maintenance services. Our window regulator repair and replacement services are priced competitively and reasonably. We make sure to be affordable, but also provide excellent service. Unlike many other cheap window regulator repair services, our window regulator experts make sure to get the job done right the first time. If your car has power window regulators, which are mechanisms used to electrically control window rolling, you might eventually need repairs on them. If your window doesn’t roll up or down when you push the switch anymore, our window regulator repair services are perfect for you. Our auto glass repair technicians have studied and expanded their skills and knowledge to include the common problem of broken power window regulators and be able to make necessary regulator repairs. 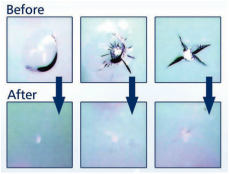 We promise just as efficient and professional of a service as with our windshield repairs. 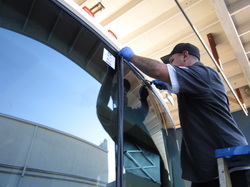 Windshield Repair Woodbridge NJ is proud to capable of so many various auto-glass-related repair services. We strive to keep our window regulator repair experts knowledgeable of current car models and developing power window technology. Our power window repair is unparalleled in the industry and we have good reason for such a boast. It is our mission to provide the absolute best in both windshield and window regulator repair services. The first step is to determine what repairs are necessary to fix your window regulator. 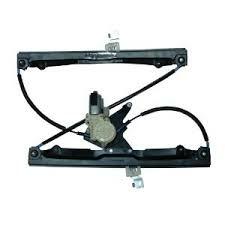 Many different cars have similar yet different window regulator parts, but the majority of them work the same way. Thus, we can use the same diagnostic techniques to figure out the proper power window repairs. If you can hear the “buzz” from the power window motor when you press the switch, then that means there is a problem with the actual window regulator. Though, if when you press the switch, no sound is heard and nothing happens, then there is a power connection problem. Using these and other more direct approaches, our window regulator repair experts can identify the problem and find the best solution to repair your power window. Our window regulator replacement professionals can efficiently remove and reinstall a new window regulator for your power window repairs. If your power window should be broken due to a fried motor or irreparable damages to your window regulator, our repair technicians can perform excellent window regulator replacement and reinstallation service. Your vehicle’s power windows will be working like new in no time. Windshield Repair Woodbridge NJ provides our window regulator experts with access to the industry’s finest window regulator models perfect to fit whatever car model you have. Our window regulator replacement services are withheld until necessary as it is a more expensive service, but we will be sure to always provide the best deal for window regulator repair and replacement services you can find in New Jersey.